It's easy to get carried away with this fantastic item! 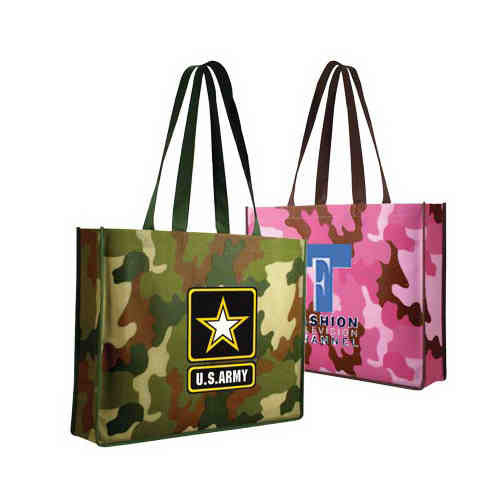 The Non-Woven Camo Tote Bag is available in full color digital. This camouflage design tote bag features reinforced 22" straps and side and bottom 3" gussets. Enhance the imprint area and add your company's logo, then add this great item to any company outdoor event, picnic or fundraising event. This is a wonderful way to promote your business. This item is 20% reusable and recyclable. Size: 15 " x 12 "